1,500 empty properties: What is BCBC doing? 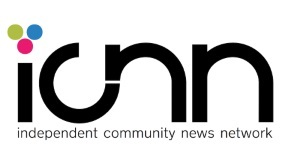 March 19, 2018 December 29, 2018 - by Owen - 2 Comments. 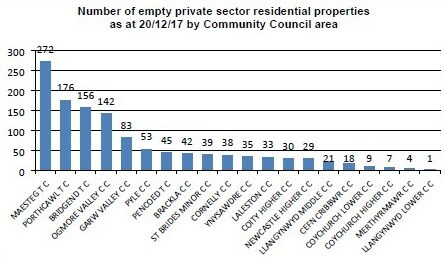 The issue of empty home and business properties in Bridgend county – report here (pdf) – is due to be discussed by a Scrutiny Committee on Wednesday (21st March). As of December 2017, there were an estimated 1,233 empty private sector homes and at the start of March 2018, 308 empty commercial properties in the county. Around half of the empty homes have been so for between 6-12 months, but 241 have been empty for between 1-2 years, 201 have been empty for between 2-5 years and 180 have been empty for longer than 5 years, with 81 of those empty for more than TEN years. 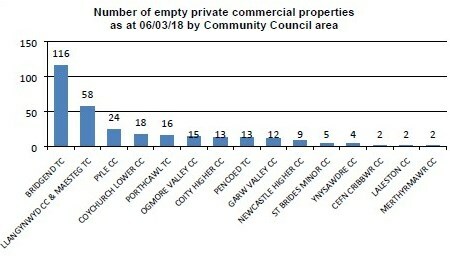 It’s a problem mainly confined to town centres, with Maesteg having the largest number of empty homes, followed closely by Porthcawl and Bridgend town centre; the Ogmore Valley also has a significant proportion. More than half (60.5%) of all the empty homes in the county are located in those community and town council areas. 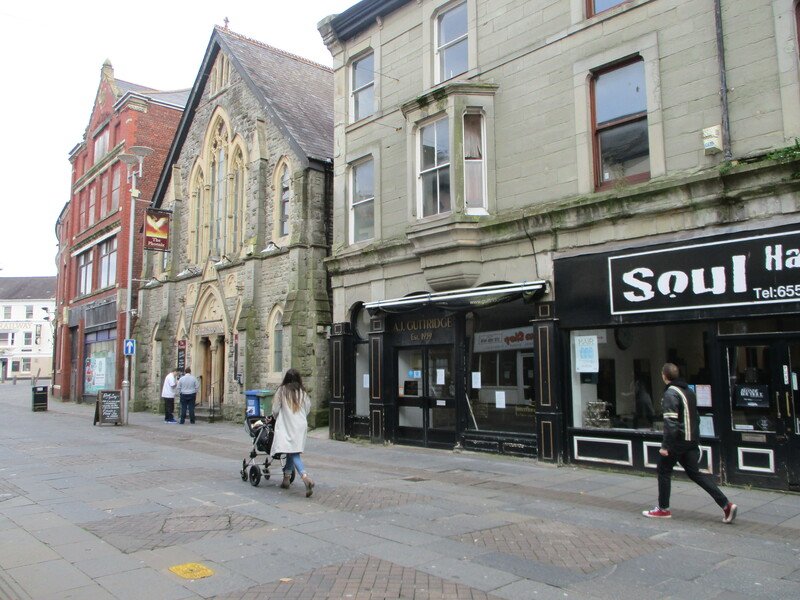 As for empty shops, just under 40% of them (118) are located in Bridgend town centre. Some of the issues said to be associated with empty properties include: becoming a focal point for anti-social behaviour, environmental problems (fly-tipping, pests) and being a financial burden in terms of repair costs and devaluing nearby occupied properties. 76 notices have been issued to deal with empty buildings that have become a “nuisance to the community”. Providing developers interested in empty properties with evidence of how long they’ve been empty in order for them to claim a VAT discount. A matchmaker service to help buyers and sellers of empty properties contact each other. Grants and loans of between £15,000 and £30,000 to bring empty properties back into use. An Empty Properties Working Group has been established to focus on homes and businesses that have been empty for 2 years or longer. 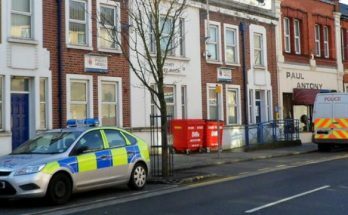 It’s still early days and an Empty Properties Officer to work full-time on the issue could be appointed in the future. Councils in Wales have the power to charge additional council tax for long-term empty properties, but BCBC are sceptical as many of the properties could be uninhabitable and exempt from council tax anyway – so they haven’t introduced this. Confirming ownership of the property. Low equity, grants being too small and mortgage problems for secondary loans. A reluctance to rent homes to people on the housing register (i.e. “No DSS”). 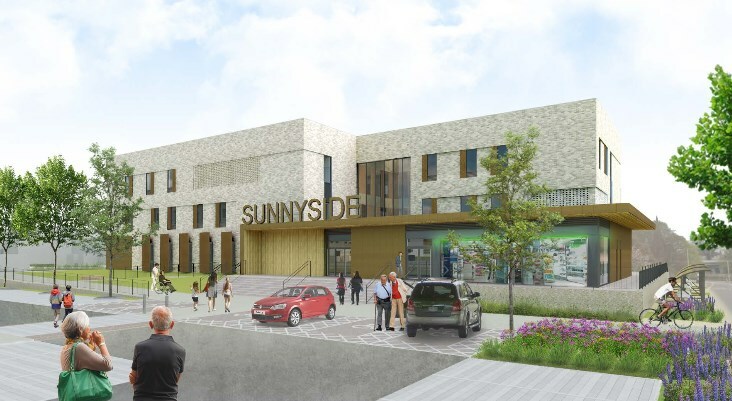 Access to town centre sites during daytime and increased costs associated with town centre development, such as a requirement for non-opening windows and noise assessments. Lack of resources for proactive enforcement (most action is taken after receiving a complaint about an empty property). Bridgend isn’t performing well compared to the rest of Wales. 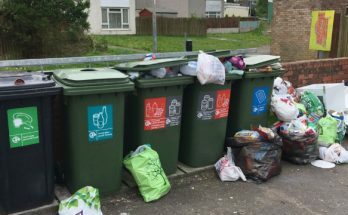 In 2016-17, just 2.2% of long-term (empty for 6 months or more) empty homes – 27 in number – were brought back into use compared to the Welsh average of 8.8%, placing Bridgend 18th of 22 councils. Over the previous five financial years, 283 long-term empty homes in Bridgend were brought back into use. 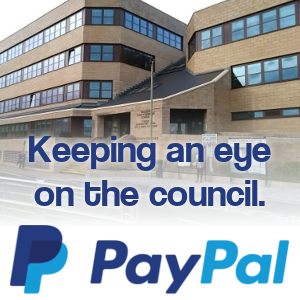 BCBC argue that they’ve been more consistent in reporting their numbers because they only count instances where they’ve contacted the owner, other councils do it differently. Take-up of some of the services offered by BCBC – like the evidence provision and matchmaking service – were said to be “minimal” or “low”. The grant scheme has been a bit more successful. £2.29million has been awarded so far, enabling 128 properties to be brought back into use – working out on average at £17,900 per property. 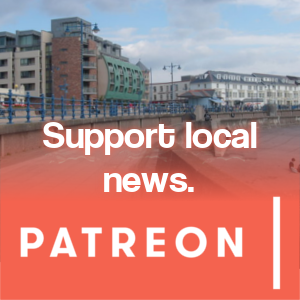 There were no performance figures given on bringing commercial properties back into use, though some of the grant money was used to renovate pubs.